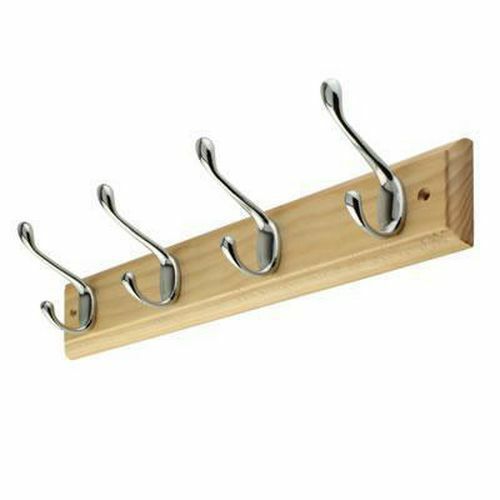 4 hooks on a natural pine board. Neat stylish design suitable for any modern or traditional environment. Suitable for hallways or cloakrooms, changing or office areas.